Celebrity scents come in for a fair bit of criticism and while there's a snobbery element at play, it's also true that many of them are poorly executed cash cows for the sleb in question. 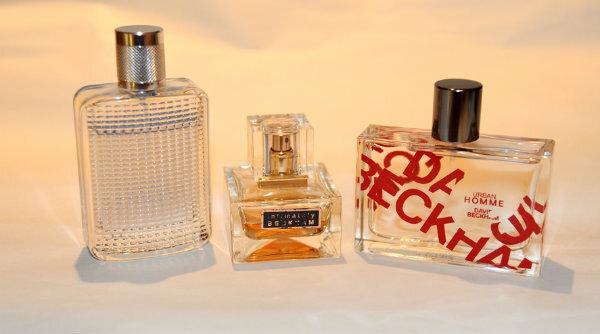 The Beckham scents, though, seem to be an exception and are gathering fans and accolades across the board. I asked Deryck (remember him?) to review a selection and to share his thoughts. Delighted to be back for a guest blog again. This time I got the chance to sniff out some of David Beckham’s colognes. Not one for buying into celeb fragrances, I was a little dubious at first. Across the board Beckham’s colognes are described as masculine, modern, edgy and sensuous, using mixtures of zesty fruit, aromatic flowers and woody bases … sounds like they’re promising everything. But, as I worked my way through the scents and gave them the all-important 'Ladies Test', I can honestly say they delivered. ﻿﻿﻿﻿﻿Intimately Yours, while not my favourite, is a nice daily scent - and the bottle feels expensive, too. The Essence gives a nice, light fruity tone (the ladies favourite, and as it happens, my own top choice too). The new Urban Homme starts out quite fruity but quickly deepens into a smooth, classically masculine, dry down. There's a nice warmth to it and it's another really good choice for day or night. There are two other fragrances I didn’t get to try this time but I would be interested in trying them out. Beckham definitely hit the back of the net this time. What scents do you like on a man? I tend to steer clear of celebrity scents, don't know why!!! The Beckhams are such a huge brand I'm sure their scents will be very popular. I like really fresh light scents on a fella! 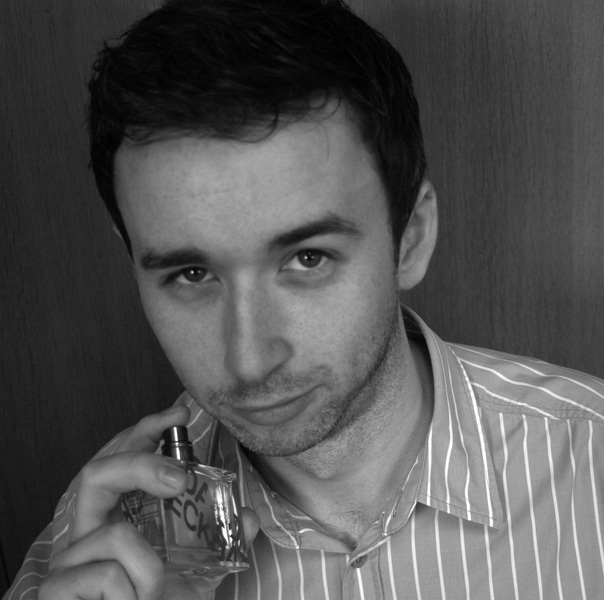 Thanks a million for the post Deryck and for letting me use your best perfume ad pose! I never thought about a Beckham scent but am now curious! Being Scottish I can't really condone anything Beckham does but it's nice to know he smells good while being an irritating git. The Beckham impression made me laugh... pretty accurate!